Francois Arnaud is a Canadian film and television actor. 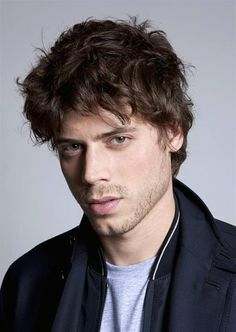 He is best known for television roles as Cesare Borgia on Showtime’s period drama series The Borgias, Théo Carpentier on Yamaska, Manfred Bernardo on NBC’s Midnight Texas, and Tommy Castelli on UnReal. Francois has also appeared in such films as I Killed My Mother, Copperhead, Amapola, Big Sky, and Permission. For his work on I Killed My Mother, he received a VFCC Award for Best Supporting Actor in a Canadian Film. Born François Landriault-Barbeau on July 5, 1985 in Montreal, Quebec, Canada, his father is a lawyer and real estate developer. He has a younger sister. He learned to sing and play the piano at the Les Petits Chanteurs du Mont-Royal, a Boys Choir School. He attended and graduated from Conservatoire d’art dramatique in Montreal, Canada, and has an arts degree from Brebeuf College. He was once romantically linked to actress Évelyne Brochu. Siblings: He has a younger sister. *He was born on July 5, 1985 in Montreal, Quebec, Canada. *He was raised in both Canada and France. *He is fluent in English, French and Spanish. *He changed his last name Barbeau, to Arnaud to avoid confusion with the theatre and costume creator, Francois Barbeau.